Most welcome a new series of Coast is… but really, blink and you’d have missed it! In time gone by, a series of Coast would have 12 episodes, then down to 8 and now we have to make do with 6. Still, these are 6 episodes of top quality. Top quality stories hosted by top quality presenters produced by top quality film-makers. Sea cliffs, rivers and seas, workers on the coast are all classic Coast stories. In the past, Coast has been a journey around the sea’s edge in a particular neck of the woods, but this eighth series following on from the “themed” style of the seventh… and it works just a well as it did in that previous series. After all, there’s only so many times you can go past the White Cliffs of Dover and talk about them in isolation… but make the episode about Sea Cliffs and suddenly you can link those same cliffs with stories from around the British Isles. Don’t be listening out for the dulcet tones of a long-haired Scottish historian in every episode this series. 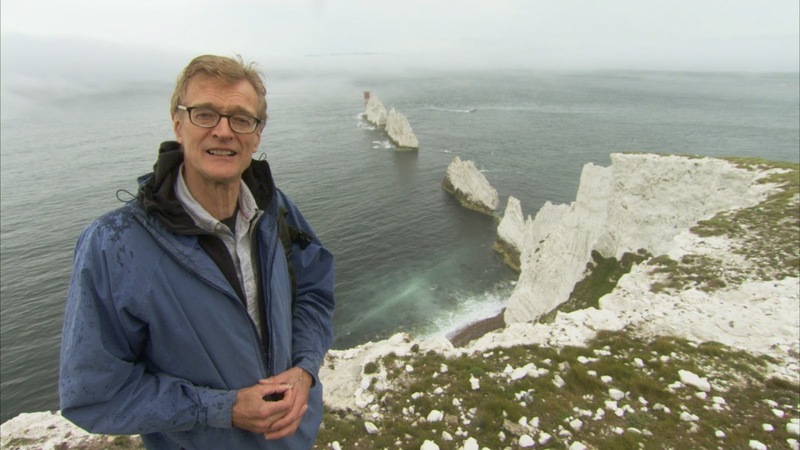 Out of the original line up of Coast experts, only Nicholas Crane remains throughout the series… but that’s one of the brilliant strengths about the series. 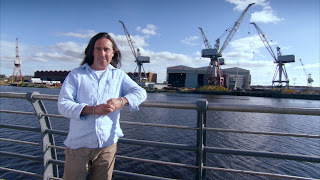 It never was “Coast with Nicholas Crane”, because if it was, it probably wouldn’t have carried on after the second series when Nick moved onto to other projects to leave Neil Oliver as the main presenter… and again when Neil moved on and Nick returned as the front guy. The changing of the experts brings a new, fresh feel to the series in much the way a newly regenerated Doctor brings to my other passion, Doctor Who. The new experts have a different take on the stories, allowing them to develop in a totally bold way. So it does beg the question why only 6 episodes? Well, there’s no doubt budgets across the BBC are being tightened, and it seems there possibly is only enough money from BBC Two for 6 programmes. And within that budget, everything else is going up too. Take transport for example; how much of Coast’s budget is taken in transporting crew, cast and equipment to the various locations? For my own experience with our Walks Around Britain video walks I know that’s a fair chunk. But another benefit of the “themed” style of Coast is it allows the same cast and crew to film two segments for different episodes back to back in a similar location. Again, something the team here know all too well! So Nick’s trip to the Isle of Wight makes it into both episodes 5 and 6 – with different stories of course. It seems another drawback of the squeeze on budgets is the reduction in the number of computer generated imagery, or CGI. Traditionally one of the series’ signature points, there’s noticeably less of these sequences in the eighth series. Thankfully, the ones included are just as amazing as they always have been. As is the sumptuous aerial photography – another of Coast’s signature points. 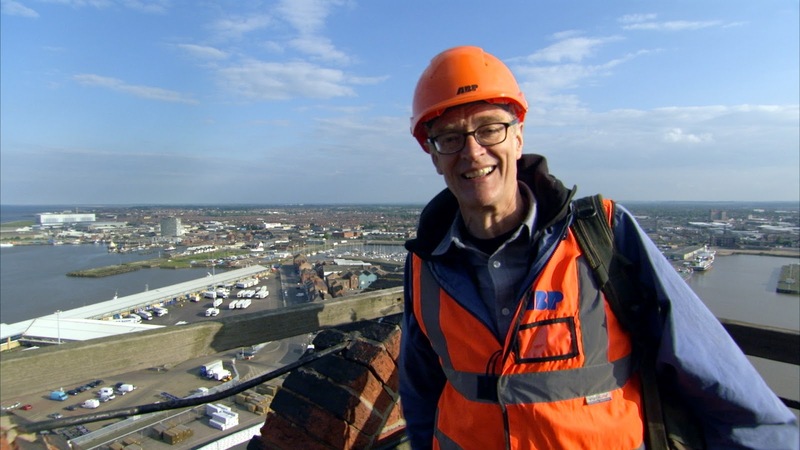 There were quite a few highlights throughout the short series, but Ken Gollop hearing a recording of his father which he didn't know existed was perhaps my particular favourite, along with Nick’s perilous descent along the remarkable ropeway to get to the fishing grounds below.